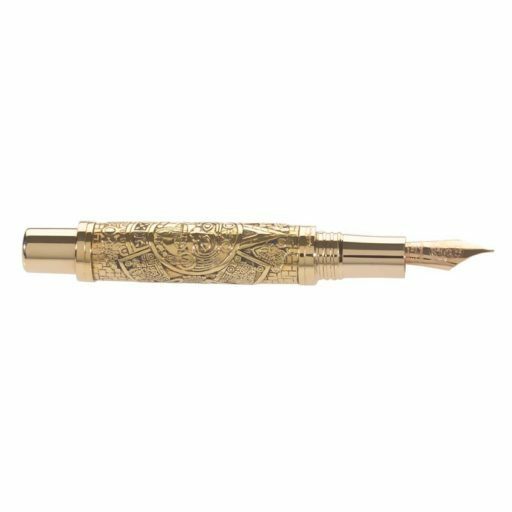 DESCRIPTION: Just as the ancient Mayans had a calendar with 360 days, this commemorative pen also comes with only 360 examples world wide with in either the fountain or roller ball style. 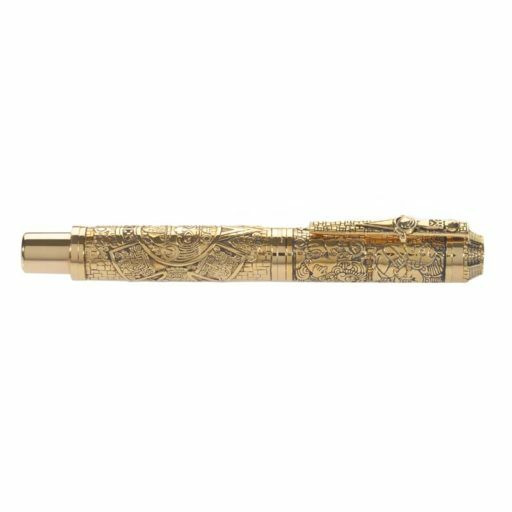 This particular model is a bronze fountain pen decorated with engravings of the Mayan gods and design elements that recall the people’s distinctive architecture. 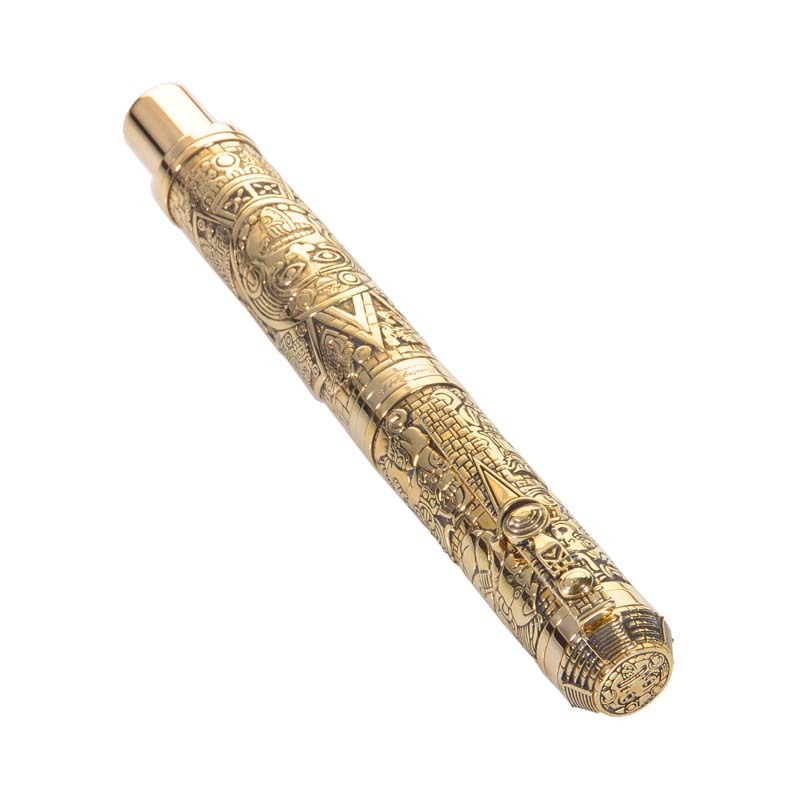 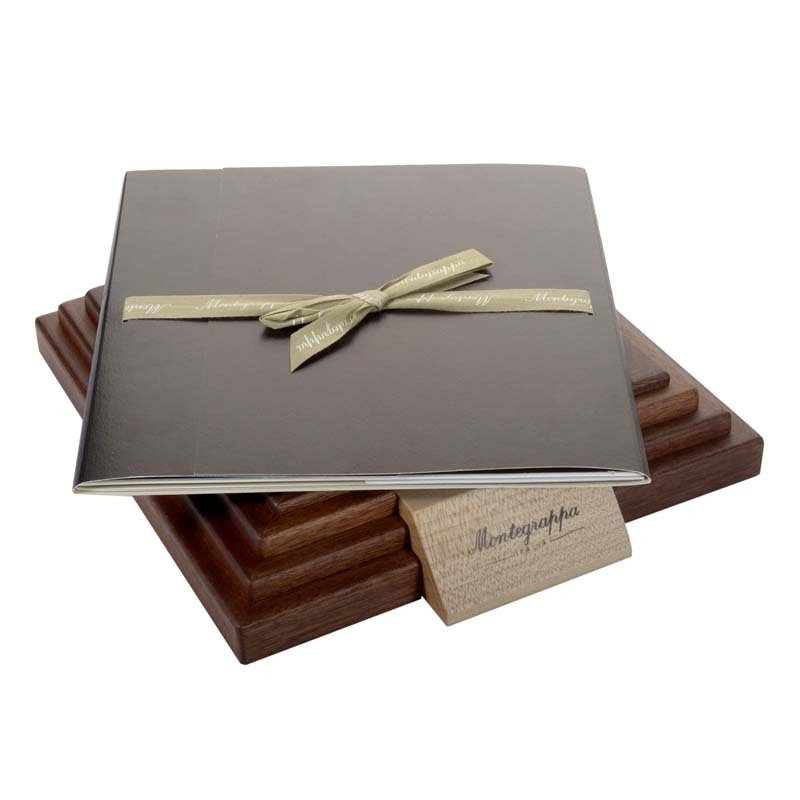 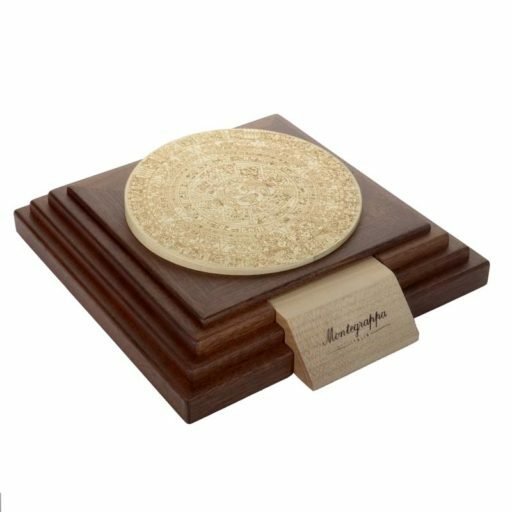 The pen clip is fashioned to resemble the sacrificial sword used by Mayan priests. 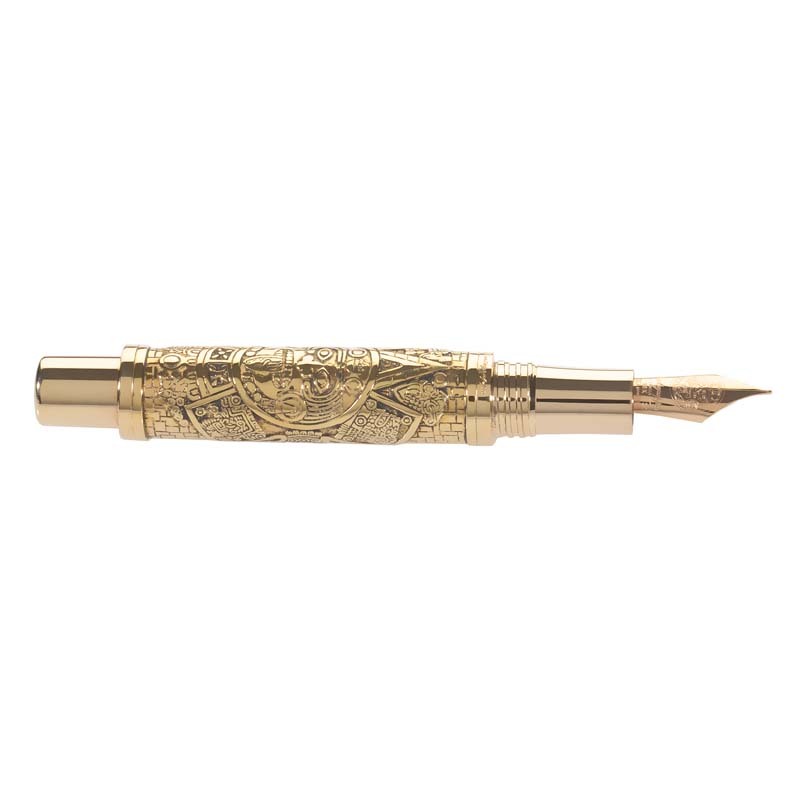 Lastly, this fountain pen utilizes a piston filler mechanism to write in black ink from its medium-sized 18K rose gold nib.